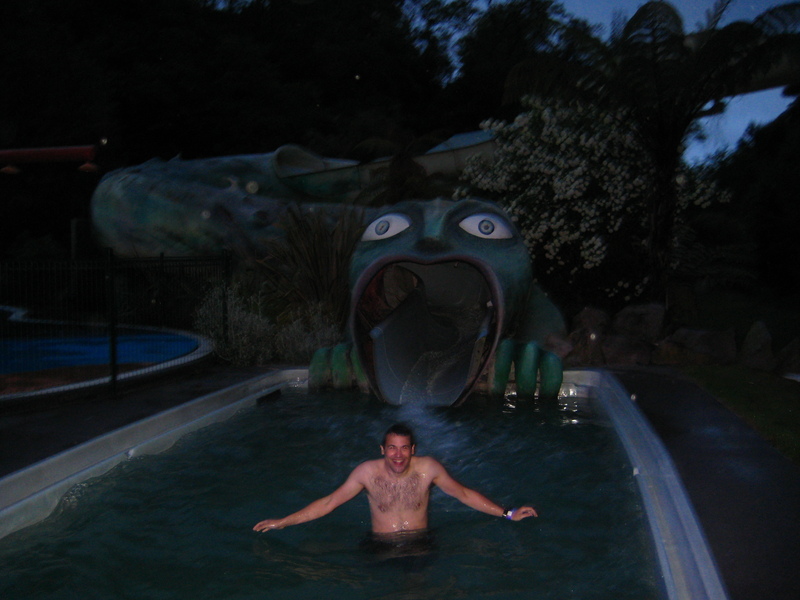 The next morning we explored more of the Lake Taupo area, a hotbed of geothermal activity. 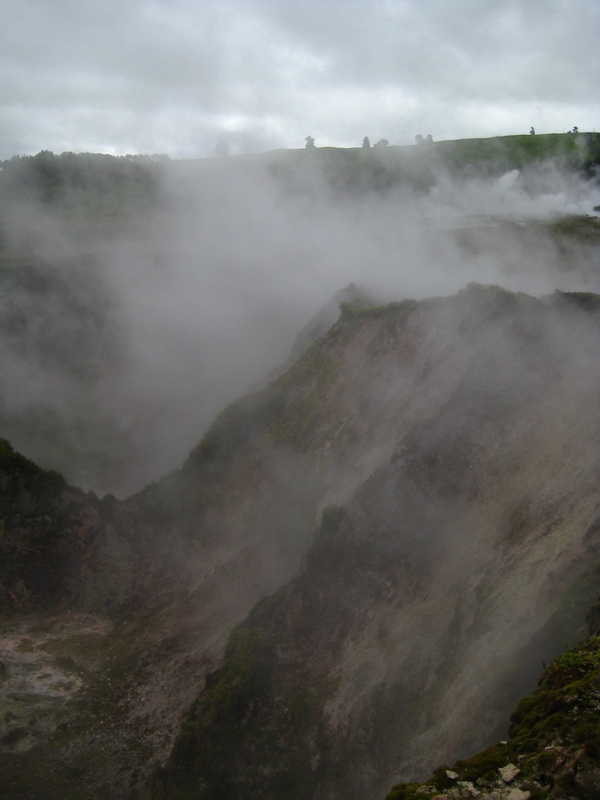 (The world’s first geothermal power plant is there, in fact.) 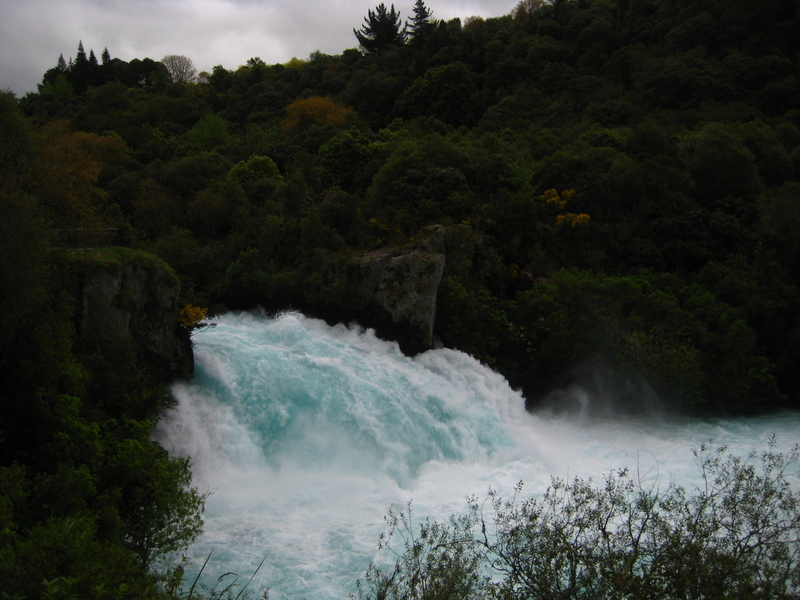 The Waikato river flows out of the huge volcanic Lake Taupo through a narrow chute called Huka Falls. About 2 swimming pools of water go through a 10-foot channel every second – needless to say, it’s impressive. We decided against rafting it. We also visited the Craters of the Moon, an aptly-named area with steaming grounds and craters filled with bubbling, sulfurous mud. We wrapped up the day in the best offering of any geothermal area: a natural hot springs water park complete with private pools and a waterslide. We were maybe the oldest people riding the waterslide, but why let kids have all the fun? Straight from the dragon's mouth. 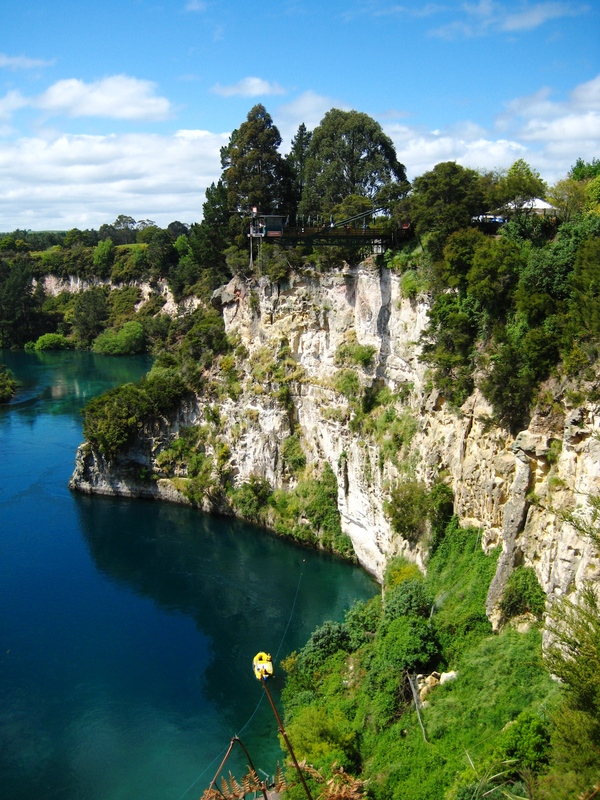 The next day, deciding we hadn’t gotten enough fright on Halloween, we went to check out Taupo Bungee on the Waikato River. From this platform, fearless thrill-seekers/fools jump to the river below. After watching a few jumps from a safe distance, we girded our loins and flung ourselves, screaming, off a cliff. Even the memory of it still terrifies us. 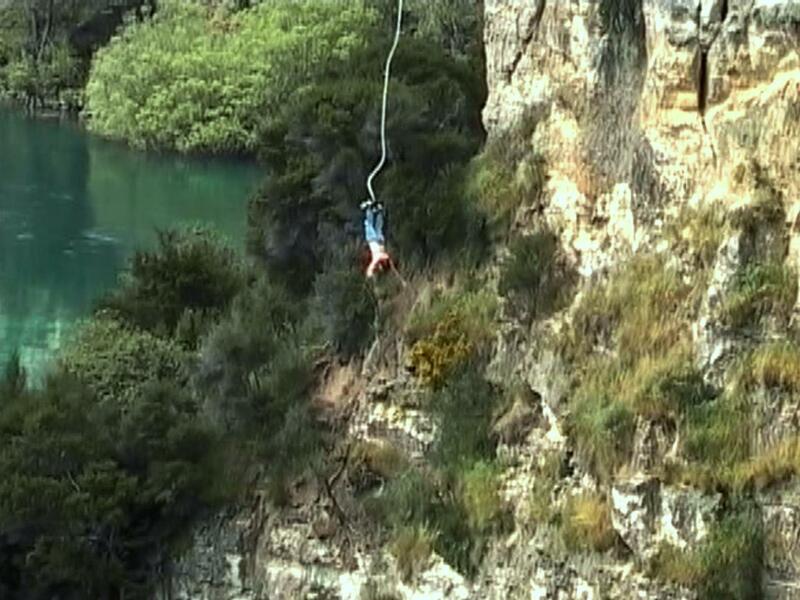 Becky plummets down 154 feet to the Waikato River. More soon to come from the rest of our trip to Taupo. This entry was posted on November 7, 2008 at 5:15 pm and is filed under Uncategorized. You can follow any responses to this entry through the RSS 2.0 feed. You can leave a response, or trackback from your own site.